Please enter a valid quantity, at least 1 object is required for an order. Should you wish to remove the item from your basket, please go to your basket where you can remove items via the option "Remove article". The USM Haller sideboard is, like all USM units, crafted from steel, chrome and metal. The latter being available in the form of cladding panels in 14 different colours. Thanks to the flexible construction principle the USM sideboard can be readily expanded and reconfigured and therefore fits in perfectly with the highly functional yet minimalist and elegant demands of contemporary offices and residential spaces. Care Chrome plated, powder coated and glass elements should be cleaned with a damp, light cloth and subsequently dried. Product datasheet Please click on picture for detailed information (ca. 1,6 MB). Should the answers to your questions not be found here, our service team can be contacted Mon-Fri, 8 am to 6 pm via +49 341 2222 88 22. Can extension drawers be added to an existing sideboard? The addition of extension doors is not recommended as it is a complicated process that also requires exchanging panels. The addition of an extension door should only be undertaken by a qualified USM Haller technician. Can drop-down doors be added to an existing sideboard? With a little technical know-how drop-down doors can be added to an existing USM Haller sideboard. Is their an optical difference between drop-down and extension doors? In context of a 1963 commission from the Swiss ironmongery and metalsmith concern U. Schärer Söhne the architect Fritz Haller developed the USM Haller storage system. Initially only intended for the firms own offices, Haller's system quickly developed to a contemporary design classic, helped along the way by commissions such as the furnishing of the offices of the Rothschild Bank in Paris. 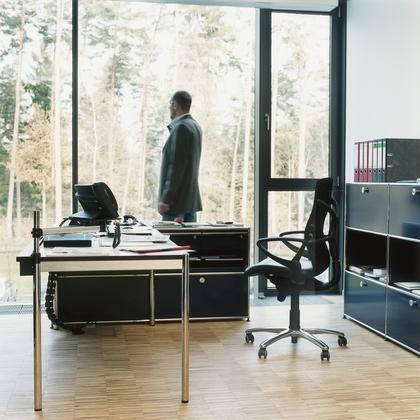 From its very beginnings the USM system represented a modern working culture with free and responsive room organisation. USM furniture is based on a modular principle based around three components: steel tubes form a basic skeleton, the individual tubes connected via brass connector balls. The skeleton is then completed by the addition of glass or steel panels and doors. Through this simple system USM furniture allows for a high degree of flexibility in the planning of furniture, a flexibility that includes the possibility to reconfigure an existing system should the need arise. So, for example, can through the addition of two elements an existing sideboard L (four elements) be converted to a sideboard XL (six elements). 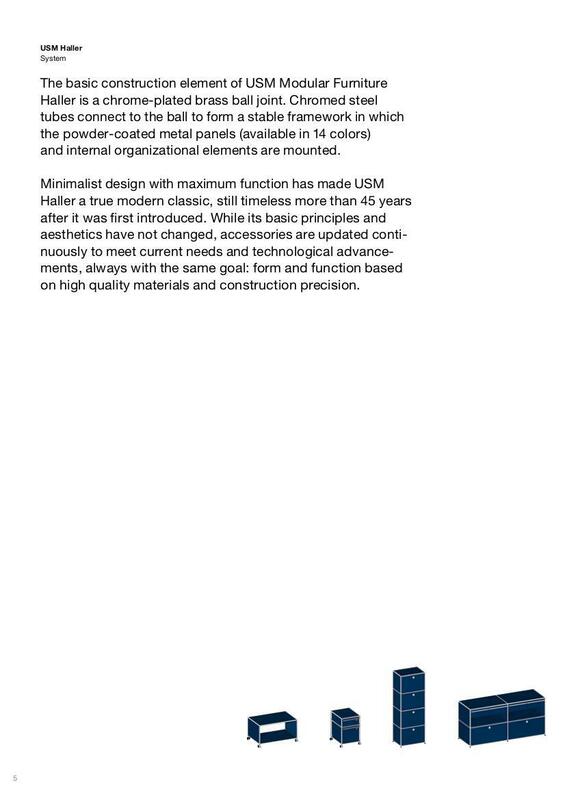 On the same basis, an existing USM Haller unit can be extended in all directions. In addition one has a choice of doors, a choice that one can always change as the situation demands. USM Haller produce exclusively at the company's base in Münsingen, Switzerland. Components for German bound USM orders are shipped from Münsingen to the company's facility at Bühl near Baden-Baden where the final construction takes place. In exceptional cases, for example with particularly heavy or large units, final construction takes place at the customers premises. All USM Haller furniture is available in 14 standard colours; however, should customers have special wishes these can also be meet. In 2014 USM Haller opened a new powder coating facility in Münsingen that sets new environmental standards in terms of both energy and material usage. Such environmental considerations are not only a central component of the USM company philosophy but are also inherent in the USM modular system. The ability to rebuild and reconfigure existing systems combined wit the high quality of materials and production making USM Haller system an expectationally durable product with an almost limitless lifetime. 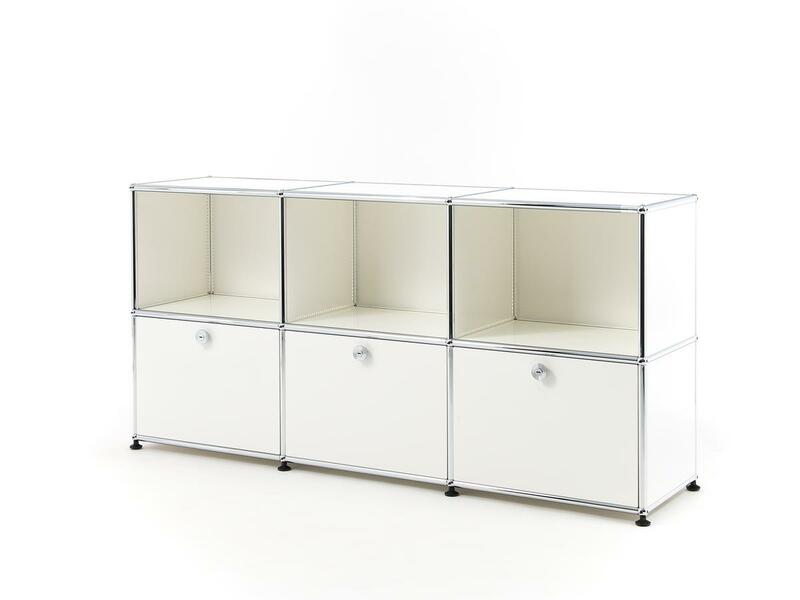 The USM furniture system was developed in the 1960s by Fritz Haller. 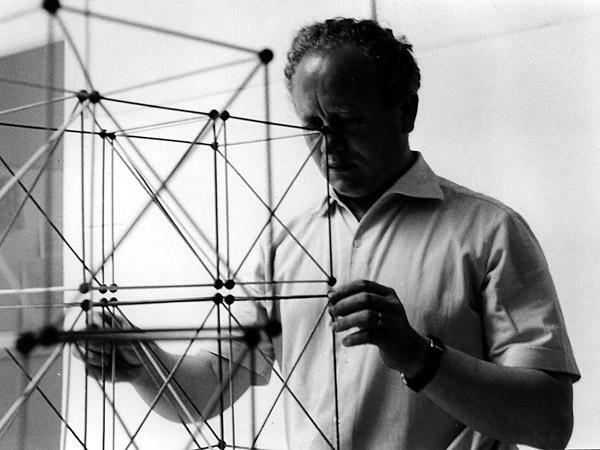 Born in Solothurn, Switzerland, on October 23rd 1924 trained first as a carpenter before studying architecture. In addition to houses a focal point of Fritz Haller's architectural work was schools, office and production facilities. In this context Fritz Haller received in 1961 the commission from Paul Schärer to plan and build a new production facility and administration office for U. Schärer in Münsingen. 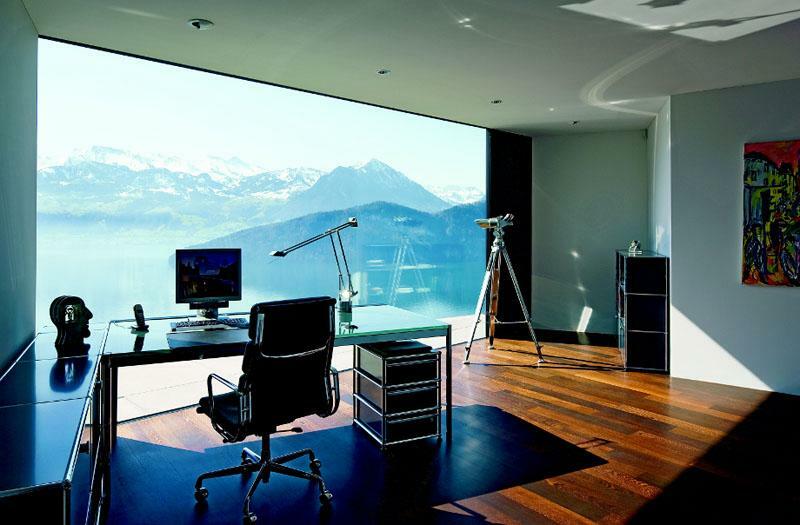 In addition Fritz Haller was asked to create furnishings for the office pavilion. The result was the USM Haller System. In later years Fritz Haller held professorships in Karlsruhe and Stuttgart. Fritz Haller died in Solothurn on October 15th 2012. Everything is possible with USM. Somethings more popular however than others. 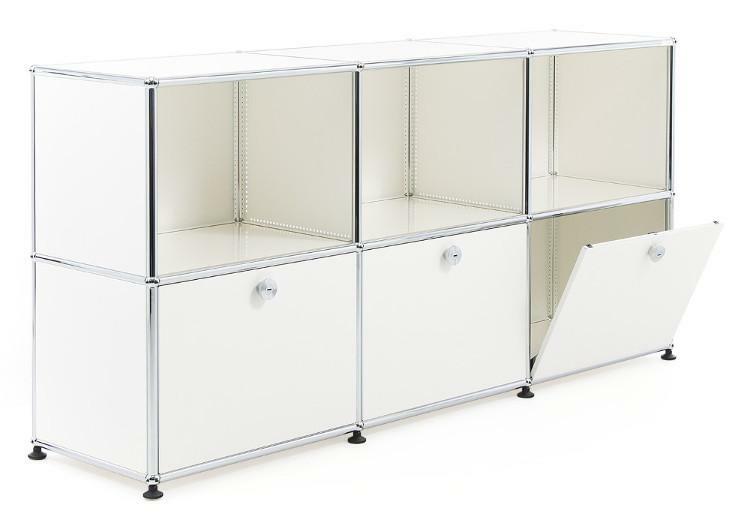 Consequently (smow) maintain a standard stock of the most common USM Haller highboard, sideboard and filing cabinet combinations. A standard stock that are, usually, available at short notice. Naturally, we can however deliver individual USM Haller units created by you to meet your own personal requirements and needs. 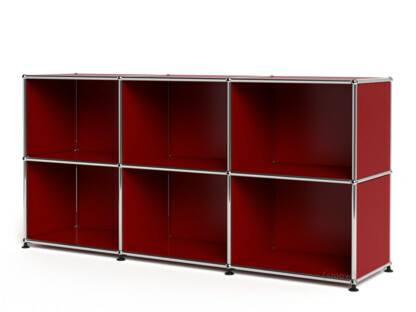 Everything is possible with the USM modular furniture system. Talk to our experienced team of USM Haller consultants, to help you realise your individual USM Haller unit. 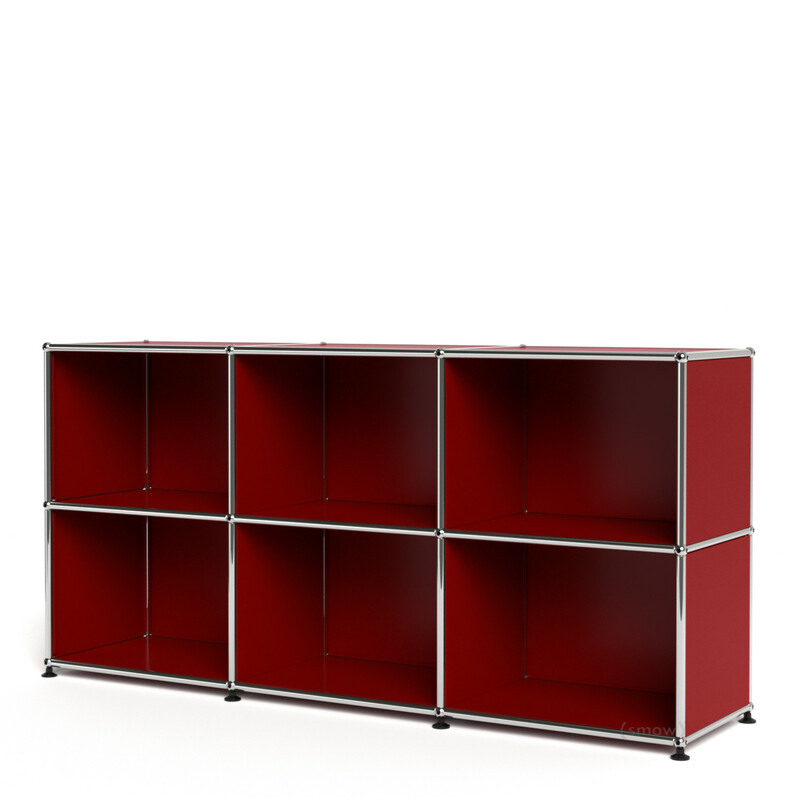 System USM Haller is available in countless sizes and colours. Alterations and variations of all models offered in our online shop are always possible. Select the item that interests you from the right-hand column. On the left-hand side you can see which dimensions are possible. For the specific measurements, move the mouse pointer over the table. Available in 250, 350, 500 mm depths. smow.com is rated with an average of 4.65 out of 5 stars, based on 16 customer reviews by Trusted Shops. smow.de is rated with an average of 4.92 out of 5 stars, based on 370 customer reviews by Trusted Shops.